Worried about snooping neighbors or thieves sifting through your mail? Then you might want to consider enrolling in the United States Postal Service’s Informed Delivery service. The USPS plans to launch Informed Delivery nationwide by the end of April, enabling consumers to choose to receive photos of their mail every morning via email. By April 14, the USPS plans to roll out Informed Delivery to the majority of residential addresses in the United States. The postal service first offered Informed Delivery to parts of Northern Virginia in 2014, and then expanded to the New York City metropolitan area in late 2015. The USPS has been scanning all incoming mail as standard protocol since the 2001 anthrax attacks that killed five people in the United States, so Informed Delivery comes at no additional cost to consumers. 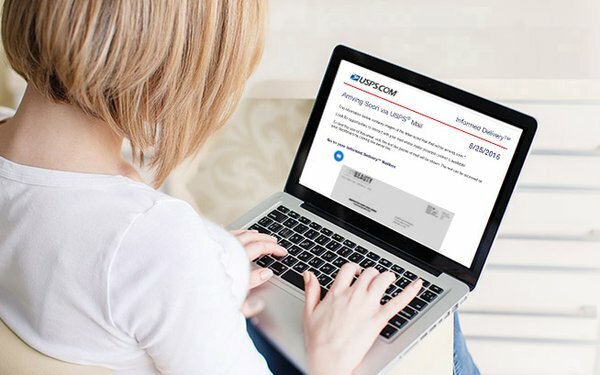 The free service sends customers an email with black-and-white images of their mail by 11:00 a.m. EST on the day their mail has been processed for delivery. Snail mail is never opened, and the photos are only of the outside of the envelope with the address face side up. Up to 10 pieces of standard letter-sized mail will be included in the email round-up, with a link directing subscribers to the rest of their mail online if it’s a busy delivery day. Interested users can sign up for Informed Delivery here. The USPS will send a physical letter to verify the user's identity upon enrollment as a safeguard to protect the privacy of Americans’ mail.